“Empire” star Jussie Smollett was recently attacked due to a hate crime leaving him hospitalized as he was coming out of his apartment. They also reportedly put a noose around his neck. Thankfully Jussie was released from the hospital and was listed in “good condition” and reportedly suffered a fractured rip. Speaking about it Halle Berry expressed her utter shock at how cruel people can be to hurt such a person who has not wronged them. “I’ve known Jussie since he was 10 years old, and a man of @JussieSmollett’s talent, intellect and kindness should be an undisputed blessing to our community. My heart is hurting knowing that he’s suffering…and for what? Just for being? The fact his presence on this earth would be perceived as a threat to anyone only shows the magnitude of their fear and confusion. It is hard to find women in their 50’s who have managed to keep their bodies in shape, but some are going the extra mile to do that. Here are celebrity women in their 50’s who would give young women a run for their money. 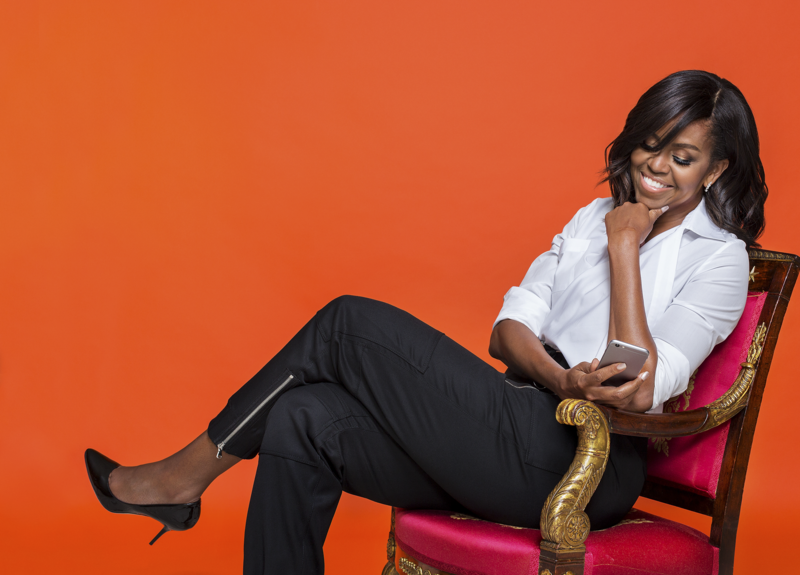 She is a true definition of ageing gracefully, with her good looks and well- toned body she would effortlessly give Kenyan women a run for their money. Hard as it is to believe Madonna is actually 60. She has been married to her girlfriend Portia de Rossi since 2008. Janet has maintained a fit body throughout the year, not even being a mother has changed her body. Her fitness can be attributed to being a performer since her childhood. One must be fit on stage, don’t you agree? Bassett has wowed many with her acting prowess on the screens, and almost six decades later she still makes men turn wherever she passes. The 59-year-old has portrayed many real-life characters, including Rosa Parks, Tina Turner, Coretta Scott King — even Michelle Obama on an episode of The Simpsons. She’s been married to actor Courtney B. Vance since 1997. The 58-year- old has a body to die for,no unwanted fat rolls, a flat tummy that can rock literally everything and a petite body that can make you sign up for gym membership ASAP. You have probably hear the jam ‘Smooth Operator’ but you might not know that the artiste behind that is Sade, who is 59-years-old. The British singer was born in Ibadan, Nigeria and she is among the few women in their 50’s who are comfortably rocking their banging bodies. The list would be incomplete without mentioning former US first lady Mitchelle Obama, because even at 54 she still got it. Don’t we all love the ‘Cat Woman’? Halle Berry recently turned 52 and her killer body is something that most of us are envious about. She is a true motivation to women around the world. If Lemonade was the accusation album, 4:44 is the apology. Jay-Z’s new record was released on Thursday night, with fans immediately delving into the lyrics to search for possible responses to wife Beyonce — and they did not come up empty-handed. In at least three of the tracks, the 47-year-old appears to make a series of revelations that allude to his ‘infidelity’, his clash with Solange Knowles two-years ago, and that his newborn twins had been conceived ‘naturally’, despite speculation he and Beyonce had favoured IVF treatment. Eric Benét famously cheated on then wife Halle Berry. Fans were quick to realise the last line referenced fellow rapper Future’s attack on footballer Russell Wilson for being a stepfather to his son, Future Jr. In the same track, Jay-Z also appears to reference his infamous lift fight with his sister-in-law Solange Knowles at the Met Gala in 2014, admitting it was his fault. Footage of the pair coming to blows had surfaced at the time, with Solange appearing to lash out at the Holy Grail rapper. In his new song, Jay-Z raps: ‘You egged Solange on knowin’ all along / All you had to say you was wrong,’ he raps. He then goes on to say in his track Family Feud: ‘Nobody wins when the family feuds,’ and has even appeared to name-check ‘Becky with the good hair’, whom many believed was Jay-Z’s mistress after Beyonce’s song Sorry that featured on her Lemonade album. ‘Yeah, I’ll f*ck up a good thing if you let me / Let me alone, Becky / A man that don’t take care his family can’t be rich,’ he raps. Beyonce, meanwhile, provides backing vocals on the track. Halle Berry has claimed she has always found it difficult to land great acting roles throughout her career because she is a woman of colour. The 48-year-old actress – whose mother Judith is Caucasian, while her father Jerome is African/American – insists it hasn’t become harder for to land great jobs as she as gotten older because there has always been a shortage of parts available to her throughout her career because she is mixed race. Berry is, to date, the only black star to win the Best Actress Oscar, landing the accolade for her performance in Monster’s Ball. However, the Hollywood beauty believes it’s only a matter of time before she loses that title. Halle Berry reportedly had strands of her 6-year-old daughter’s hair forensically tested to ”prove” that her former partner, Gabriel Aubrey, had been lightening their child’s hair. The Extant actress – who is in the middle of a bitter divorce from Gabriel Aubry – has accused her former partner of bleaching their child’s hair. According to gossip website TMZ, Berry had strands of hair from 6-year-old Nahla’s hairbrush sent off to Microtrace, a forensic consulting laboratory. Papers submitted to the court by the 48-year-old actress reportedly state that the company concluded that the hair had ”extensive damage … [which is] likely the cumulative effect of repeated exposure to numerous gentle bleaching treatments”. Aubry denied that he was straightening and lightening her hair using chemicals and defended the lighter colour, insisting it was just from spending time in the sun. The judge is believed to have ruled that neither of Nahla’s parents were allowed to change her hair. The Oscar winning star was so livid that her ex, Gabriel Aubry had apparently relaxed and bleached her daughter’s hair over the past year that she has taken him to court. The 48-year-old actress, who dated the French-Canadian model between 2005 and 2010, has taken her former lover to court, claiming he straightened the naturally curly hair of their daughter Nahla – who was born in 2008 – and lightened it over the past 12 months. A source close to Halle also told MailOnline that Gabriel had used racially abusive language towards their daughter, adding: “Halle is a great mom, she wants to keep Nahla on an even keel. “Halle kept asking and asking Gabriel about Nahla’s hair and he kept denying it. “What does this say to a six year old who’s half black? Her father is denying her identity. Since splitting from Gabriel, Halle has married French film actor Olivier Martinez, with whom she has a son, Maceo. Halle Berry wants the child support payments she gives Gabriel Aubry to be cut from $16,000 to $3,000 a month. Halle Berry wants her child support payments slashed by 80%. Berry, was ordered to pay former partner Gabriel Aubry $16,000 a month by a court in May but she has now filed documents asking to reduce the payments to just over $3,000 a month because she claims the model – with who she has six-year-old daughter Nahla – has stopped working and is living entirely from the money he receives from her. According to TMZ, Berry notes in the documents that her 39-year-old former partner – with who she shares equal joint custody of their little girl – is ”perfectly capable” of getting a job and the reduced payments will still allow Nahla to live a comfortable life, supplemented by his own income.